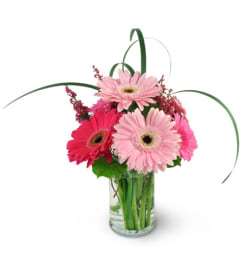 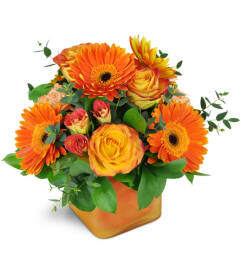 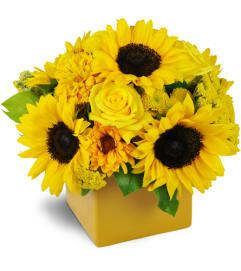 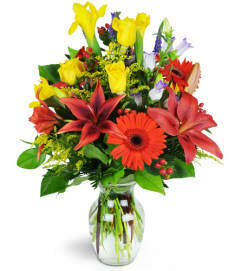 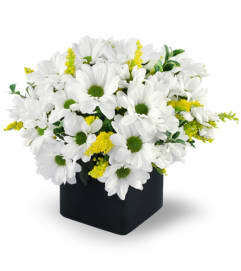 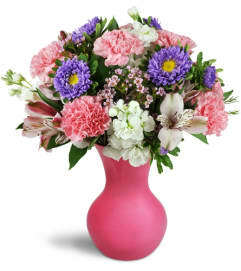 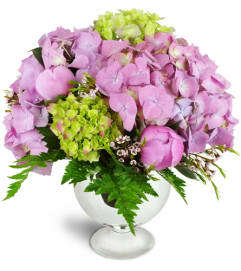 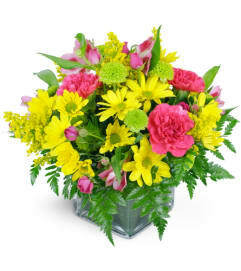 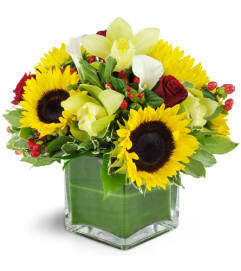 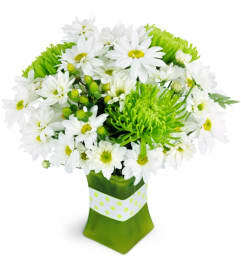 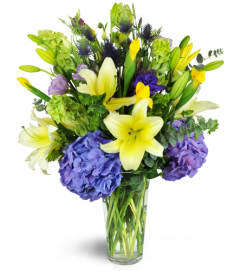 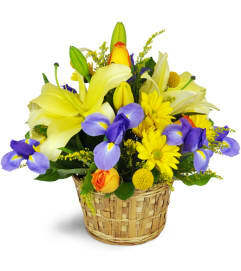 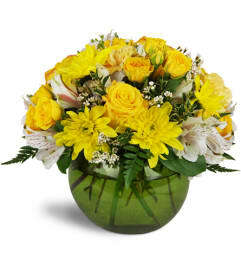 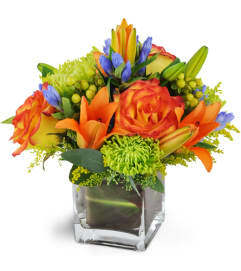 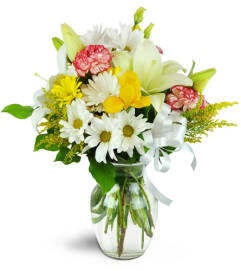 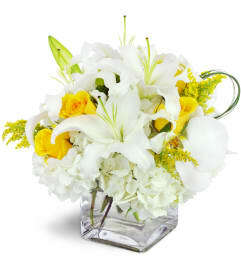 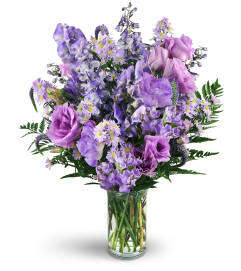 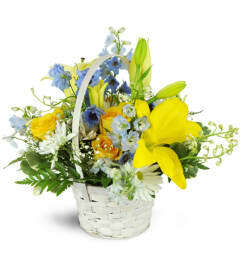 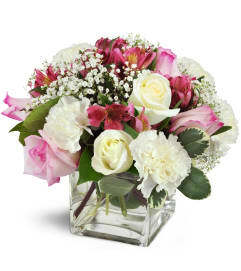 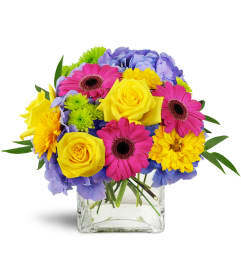 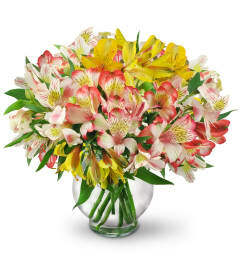 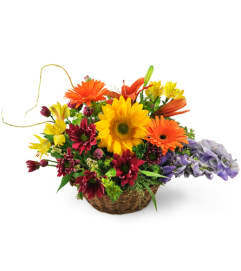 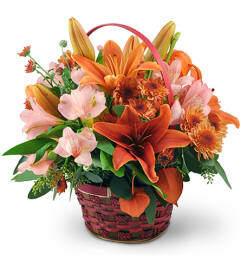 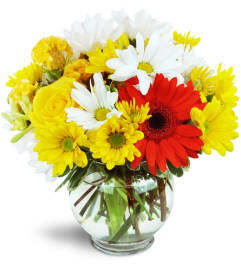 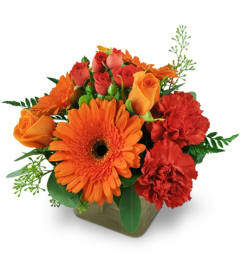 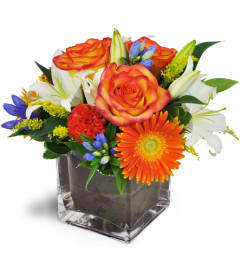 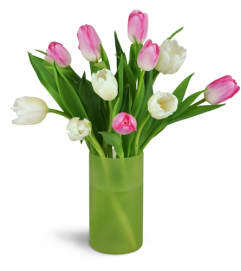 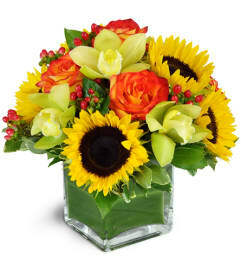 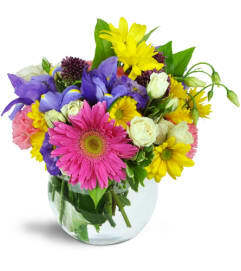 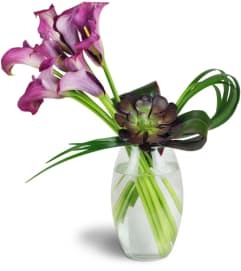 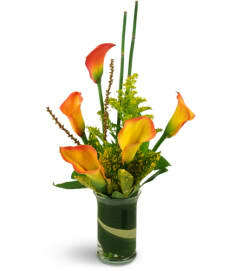 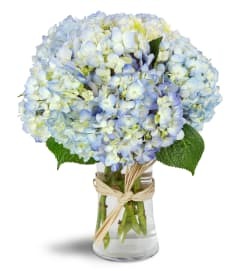 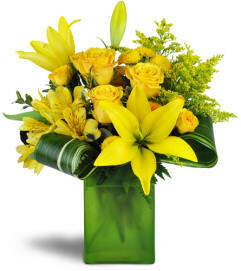 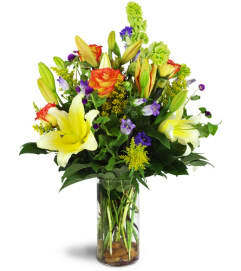 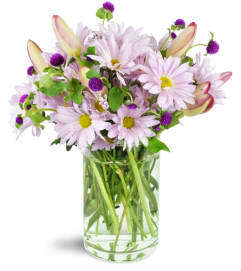 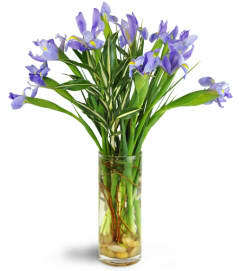 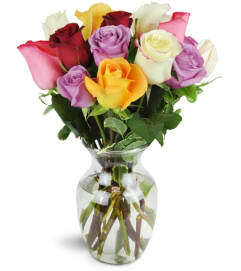 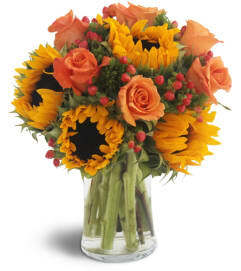 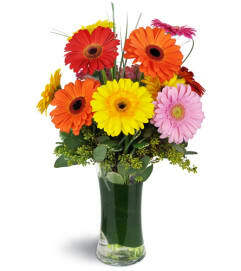 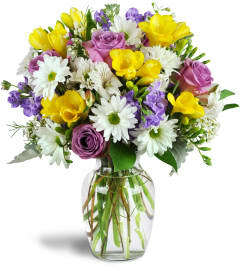 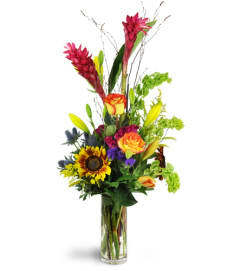 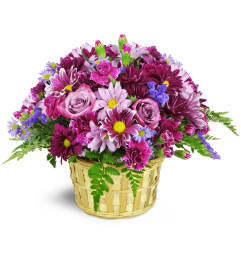 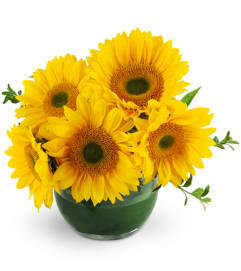 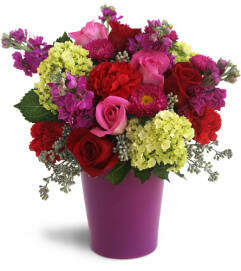 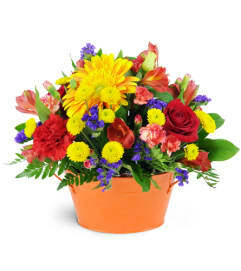 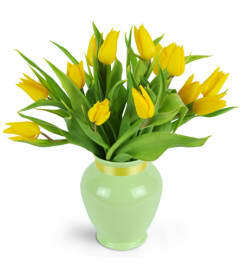 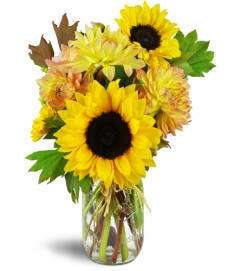 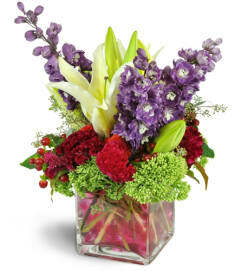 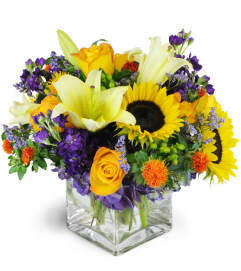 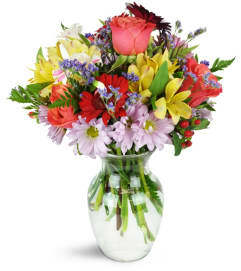 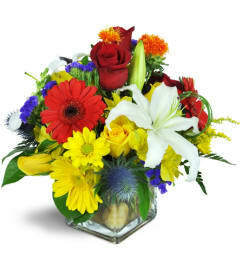 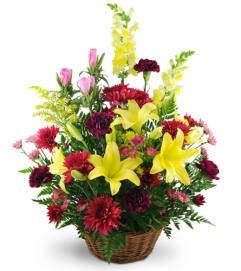 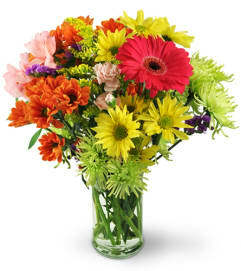 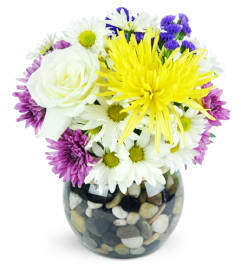 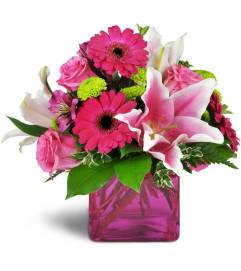 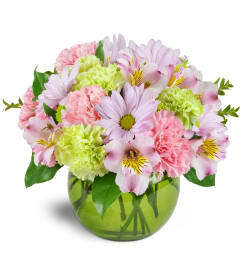 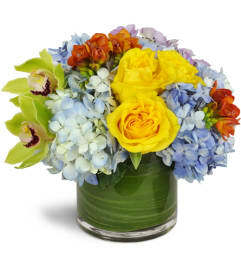 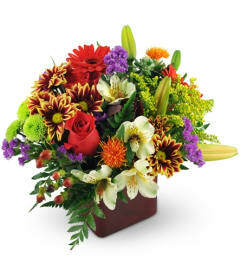 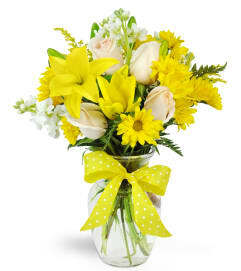 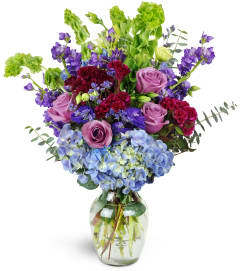 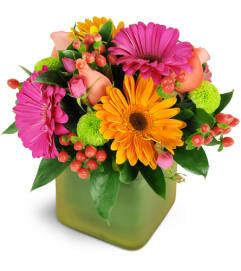 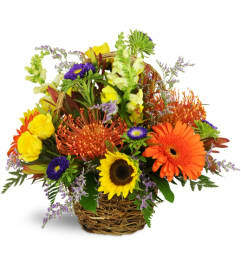 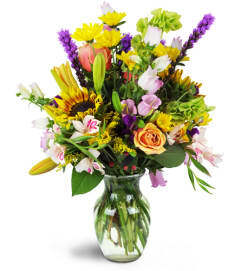 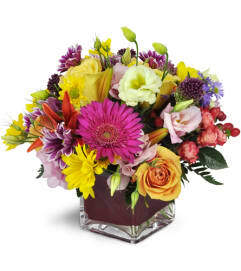 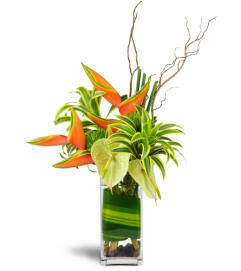 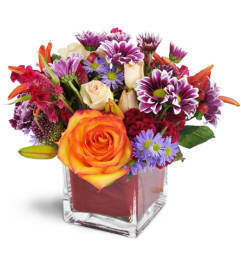 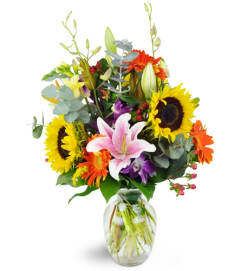 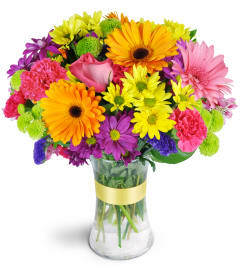 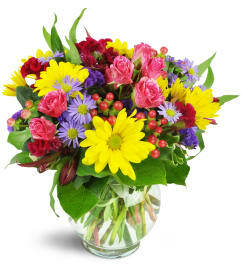 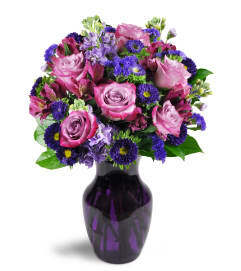 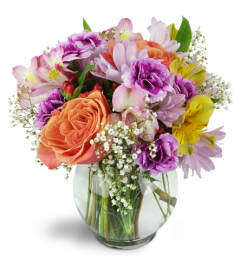 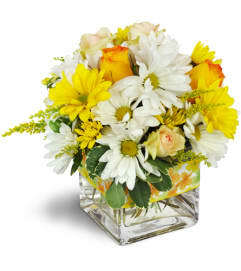 Our Get Well flowers will let them know you're thinking of them and wishing them well. 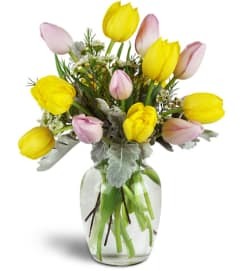 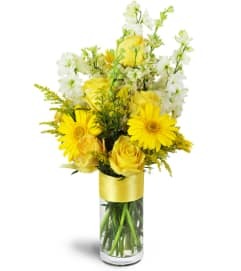 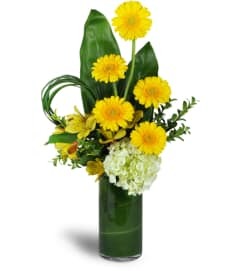 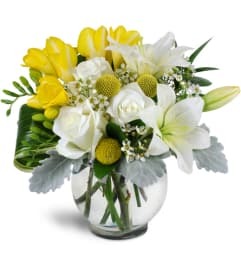 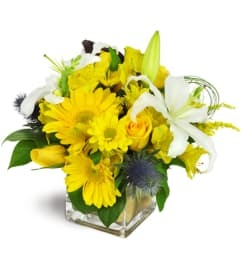 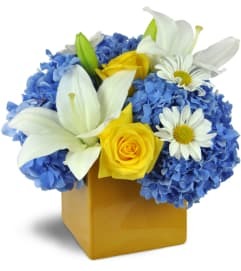 Cheerful yellow flowers bring their own sunshine and will get right to work on lifting spirits, and a colorful vase will bring loads of smiles to friends and visitors! 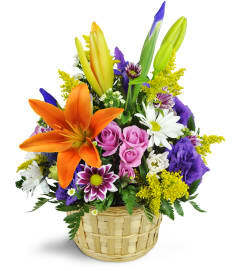 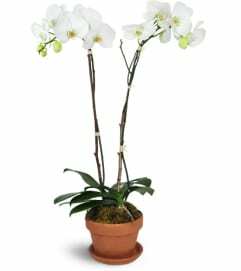 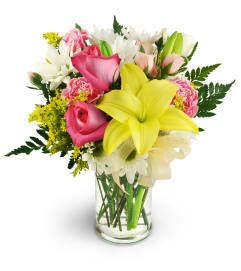 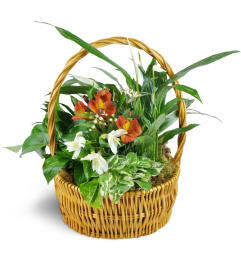 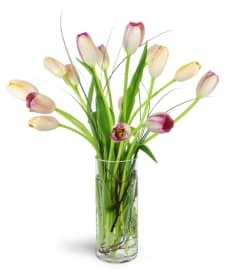 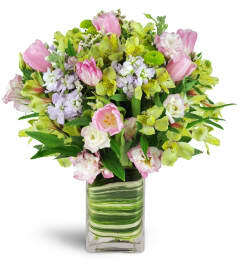 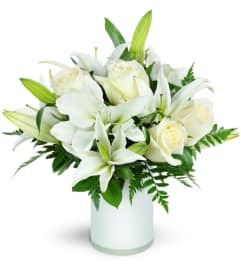 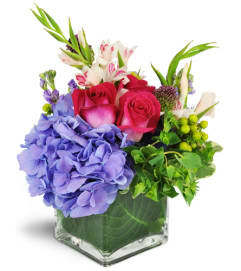 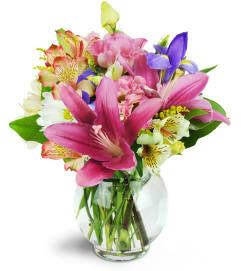 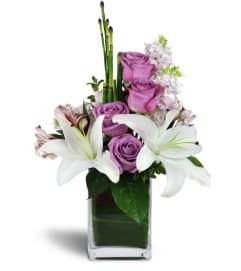 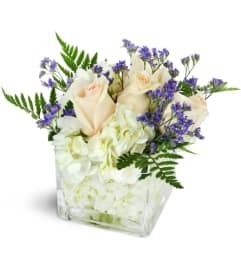 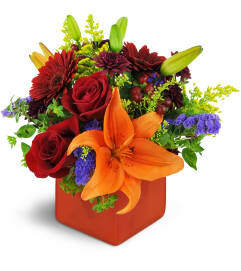 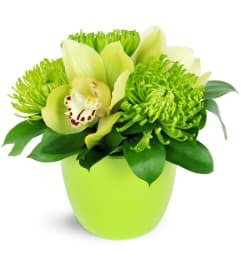 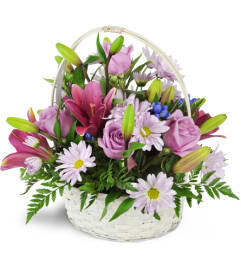 Get Well flower arrangements from Larry's Florist are designed to stay fresh and cheery, and deliver your good wishes every step of the way.